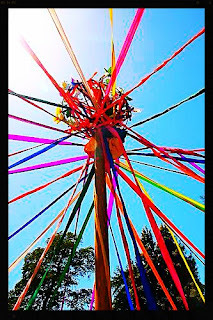 May Day, or what the Celts called Beltane, is one of my favorite days of the year. Ancient European cultures celebrated this day with fertility traditions that included feasts, dancing, and weaving bright-colored ribbons around a Maypole to encourage young men & women to frolic with one another. With the plentiful sunshine and newly blooming flowers, it seems as though the earth itself erupts in joy, and we can't help but allow our spirits to follow suit by celebrating the color and vibrancy of the season. 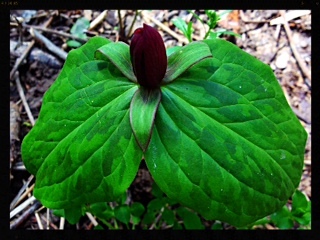 One of my personal rituals this time of year is to take a "wildflower walk" in the woods near my home to catch a glimps of the earliest blooms. 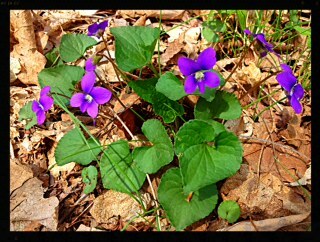 The photo above is of wild violets that sprout along my favorite path, and below are trout lilies that are always the first to blossom and herald spring. 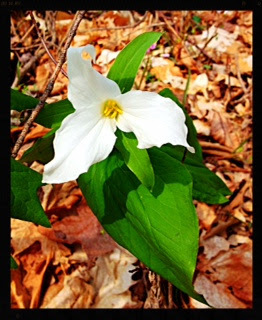 And then there are the spectacular white trilliums that often cover an entire hillside in the woods like a luxurious gift from nature hereself. Yet something that charming and potentially sensous would have to attract haters from one corner or another, wouldn't it? 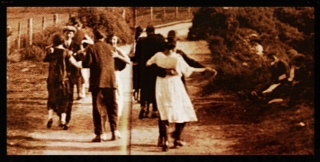 And indeed it did—by 1935, the practice of Dancing at the Crossroads was banned in Ireland by the Public Dance Halls Act, which forced these spontaneous expressions of joy to move to buildings that could be monitored & regulated. 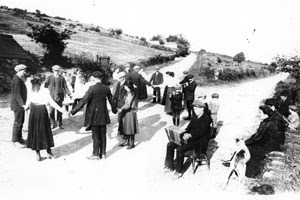 Open air dancing was considered "sinful" by the Catholic church, and the photo above captures one of the last "legal" crossroad dances in Glendalough, County Wicklow in the early 1930s before it was banned. 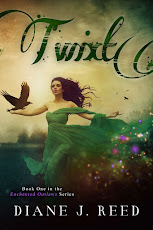 Nevertheless, many scholars believe rural dancing was the basis for all forms of Irish dancing that are so popular today. 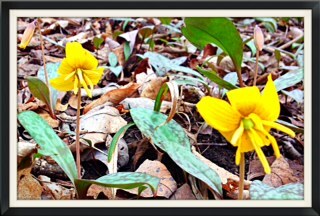 I loved taking your wildflower walk with you...what a treat! Isn't it interesting that some institution always wants to control and monitor joy?! As i was reading,i noticed myself smiling, something i haven't done in awhile. felt like i was there. Thank you for sharing. Follow @DianeJReed Tweets about "@DianeJReed"